There is definitely something very charming about our small orange diplodocus rattle. It is also very practical as it is machine washable! 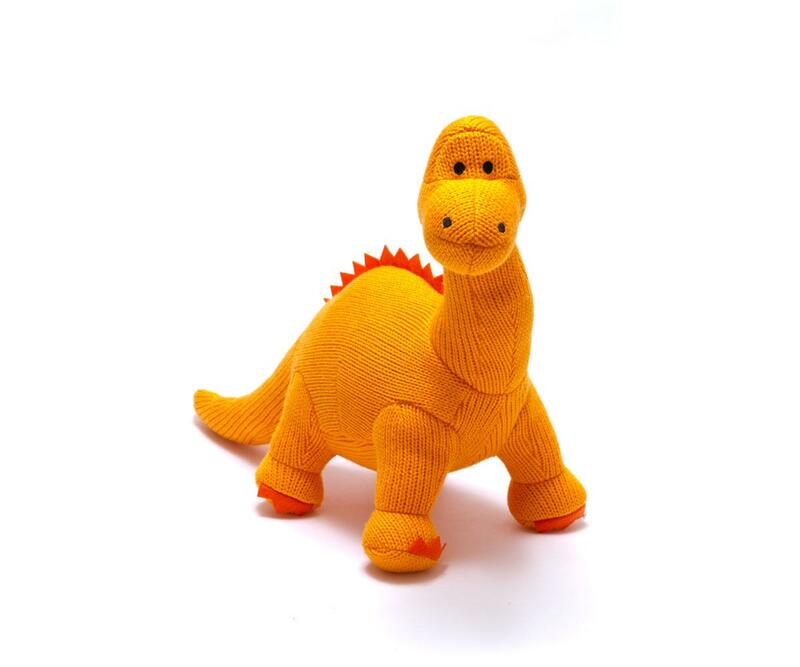 A popular knitted dinosaur soft toy rattle for babies and toddlers. Did you know that the neck and tail of the Diplodocus Dinosaur consisted of 100 vertebrae while humans have just 33. No wonder everyone wants to see Dippy on his Dinosaur Tour. These dino rattles make fabulous dinosaur baby gift ideas - the hardest part is which to one do you choose?